ACE’s Graduate Program has been designed to expose graduate students to the industry with the guidance and mentoring of some of the best in the business. We believe in employing and training new graduates by giving them responsibility and autonomy, through a real job with real challenges. Taking control of your future starts here. ACE will not only expose you to and hone in on the skills needed for a specific job, it will enhance your social intelligence, your presentation skills, negotiation and problem-solving techniques will all grow, as well as heightening your social skills. This is the training you don’t get in school. Ace Contractors Group has seven divisions, all under the one roof. The opportunity to grow in an environment shared by so many people with so many skill sets is rare. Take your career on a path you never even dreamed of by applying for the Graduate Program at ACE today! Two year program comprising of time spent in the office and on site. The program consists of rotating through the following areas: OHS management, quantity surveying, quality control, compliance, surveying. Each Graduate is assigned a mentor for the first 12 months of their time with us. We fit you with your perfect match to make sure you get the most out of your time with them. Monthly Reviews. Your performance will be reviewed monthly for the first 6 months, to ensure we are both ‘on track’ and maximising your learning. Grad Breakfasts. Collective breakfasts are held every two months to discuss progress, innovation and ways to learn from each other. Training. Each Graduate undertakes a minimum of 1 days formal training in their first 6-12 months. An incremental pay increase occurs at 6 months, and annually thereafter. 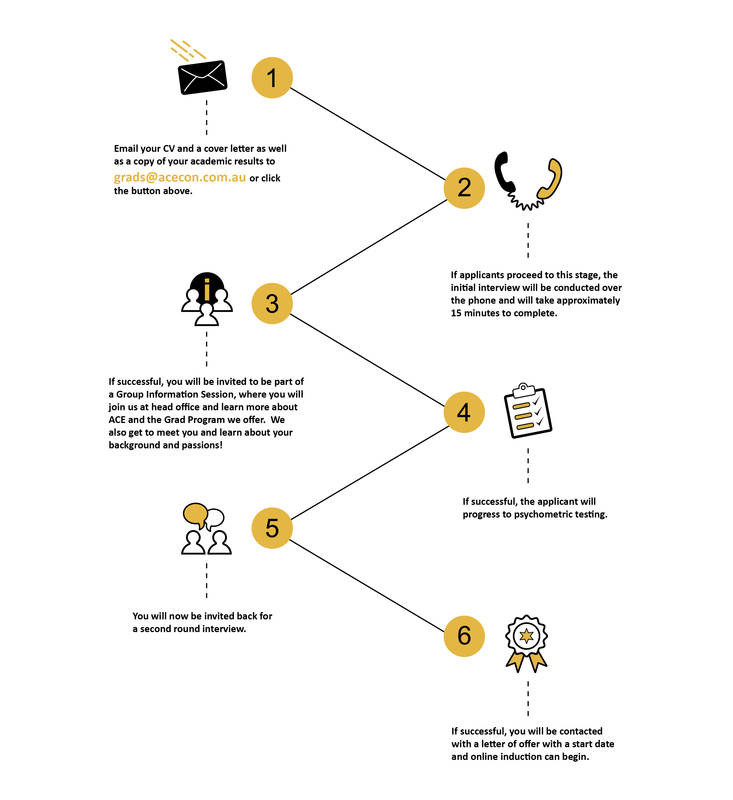 Should you desire, you will be provided with the option of a 3 month career break after 24 months with us. You can pick up your job where you left off upon your return. You have the opportunity to partake in a passion project, whatever you desire, in third world country? Live your Passions! What lead you to the grad program at ACE? I applied to be a graduate at ACE after deciding that I wanted to pursue a career in the construction industry. Upon completing some research, and being invited into the office to meet some of the staff, I realised ACE provided great support and guidance for their graduates. This assistance has been amazing as I’m challenged on a day to day basis. What have been stand out events during your time at ACE? Being involved in winning a West Gate Tunnel Project package has been a very big highlight. This has been a big learning curve as I assist the project team in preparing to mobilise and begin construction. I’m looking forward to spending the next few months on-site and seeing the project through from start to finish. I want to continue to gain experience and knowledge by spending time on a variety of sites and learning from my senior colleagues. In the future I’d love to manage my own jobs and successfully deliver these for ACE, hopefully alongside a young graduate that I can help to teach! A Project Manager at ACE advised me to apply after giving high recommendations for the working environment and culture. I saw the Graduate Program would give the support and opportunity for me to build the necessary knowledge and skills to eventually become a Project Manager. In the near future I aim to gain more experience on site as a Site Engineer, bringing my knowledge from various fields I have gained so far in the Graduate Program. After proving myself with extensive experience I aim to become a Project Manager. 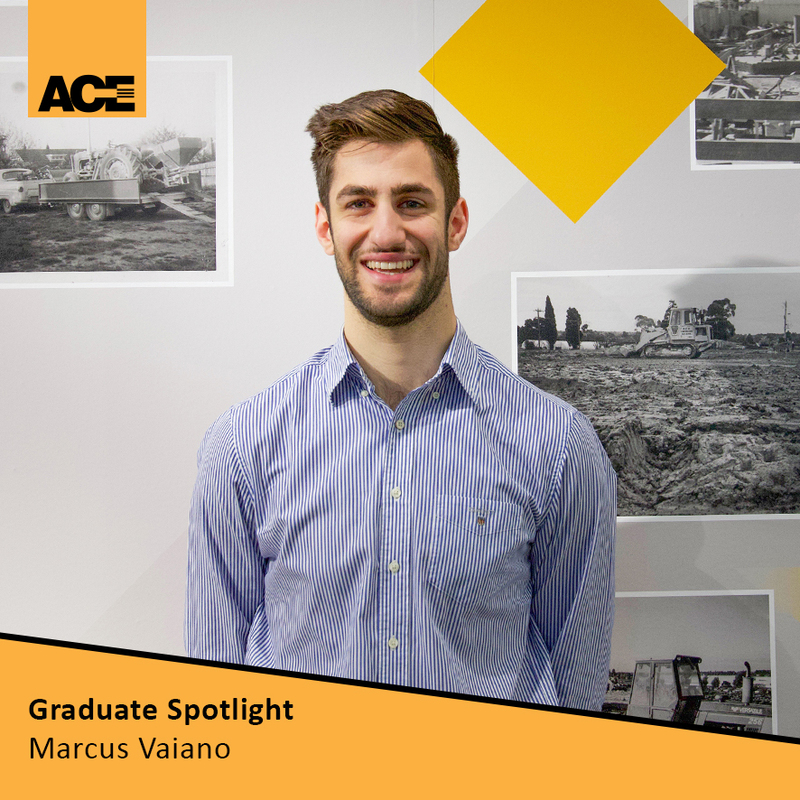 Marcus joined our Landscape team on the Graduate Program in February of this year. He has slotted into our family nicely and taken on his role professionally and with passion. 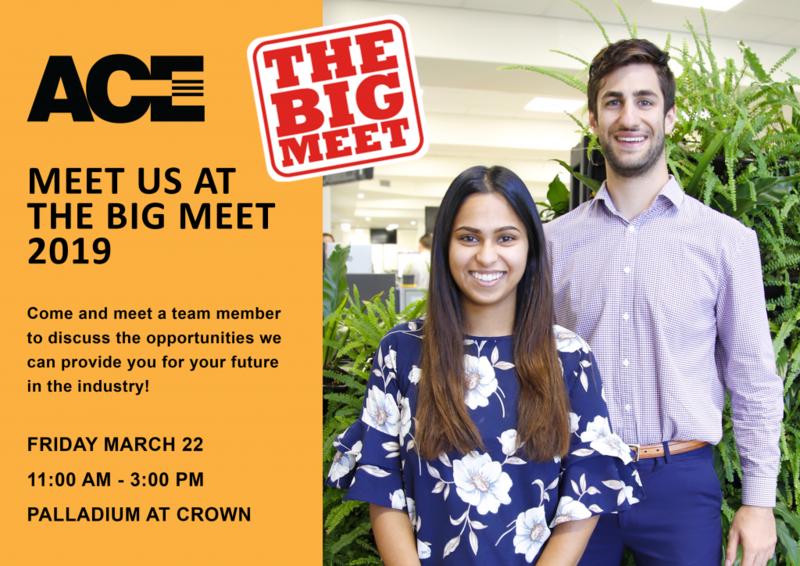 Liam Campbell (former employee/current cricket player 🏏 ) informed me of ACE and its Graduate program this time last year at RMIT. Telling me of how he had enjoying his time. The key stand out event for me at ACE was having put in and winning my first tender, The Eastbourne – (terrace landscape works). My main goal for this year is to finish University and in 2019, simply to run the full length of a job from start to finish, getting stuck into all the troubles and difficulties of the profession. “Working for ACE has been a rewarding and thoroughly enjoyable experience and I can definitely say I feel like part of the family. Ed Condon started with ACE last year during his penultimate year at Uni. 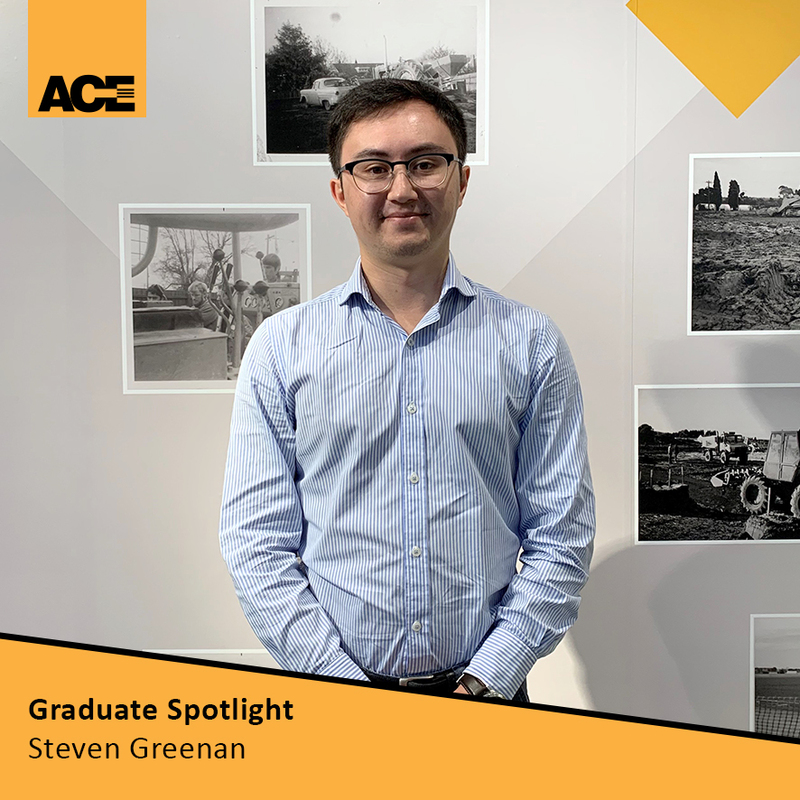 He started in Infrastructure helping out on the Grey River Bridge project after hearing about our graduate program through the RMIT job portal. Concrete pour of the bridge deck at Bridge Inn Rd, Wollert. Starting up and mobilising the Grey River Bridge Replacement project on the Great Ocean Rd. Beam lift and deck pour at Grey River. Starting up and mobilising the Pykes Creek Bridge Strengthening project at Myrniong. Scaffolding lift at Pykes Creek. 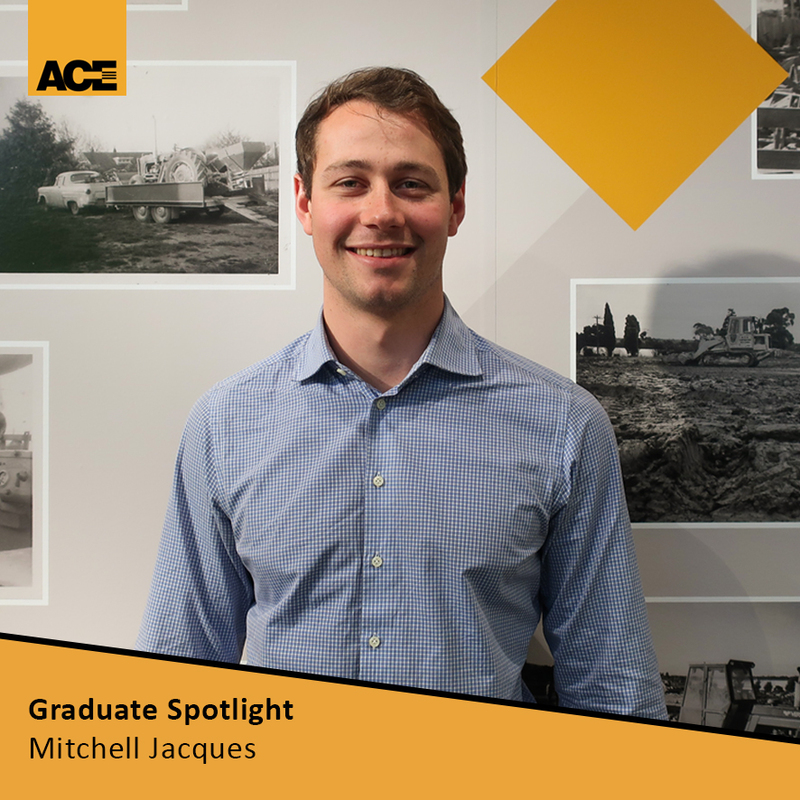 “My experience at ACE as an undergraduate engineer has been the best thing I could’ve done to prepare me for the industry. ACE has always been a Family environment for me. My mother, her sister and my father’s sister all work/worked here. I have wanted to work here since I discovered my passion for Engineering 5 years ago. What have been stand out times/events during your time at ACE? ACE have put me in the infrastructure division under Asoka and Stefan. They have both been great mentors, allowing me to tackle problems head on and correct me if needed. The biggest stand out for me was organising the bridge demolition works at Grey River on the Great Ocean road. Between organising a 100T cranes, saw cutters, scaffolders and semi-trailers on one of the busiest tourist roads in Victoria, it was a great experience and something not many engineers can say they have done at 22 years old. I want to gain as much knowledge in the contracting/project management industry as possible. Diversifying into the infrastructure, civil and High-rise construction areas, deem my favourite niche to work in and narrow in on that. But at this point, getting my degrees at university is the main focus! I initially heard about Ace through RMIT, and when I did some research into the company, I saw a really positive work environment and a good support system for graduates. It has been the best experience to join a company that genuinely cares about your progress and success. Some of the most stand out times so far was my time working at Fawkner Cemetery. It was a really interesting job with both civil and landscaping works involved. It was a great site to start off with and it gave me the opportunity to really learn about the different aspects of civil construction, in particular, the importance of building good relationships. In the future I would want to be genuinely happy both at home and in my work. I’d also love to keep travelling around the world; and learning new things about different cultures/backgrounds. I think that the more experiences you have in life, the more appreciative you can be of what you have. After working as an undergraduate for the Melbourne Metro Tunnel tender I found myself looking for experience with a smaller contractor as I’d heard that the experience was generally much broader and as a result you learn faster. So when my final year lecturer at RMIT Dr Abbas Mohajerani sent me the PD for ACE’s graduate program I was quick to apply. From the beginning being thrown on the job site as a labour hand was by far the biggest contrast from Uni I have faced. Seeing the ‘real world’ of construction was one of the more valuable experiences for me, and generally I think it is a great experience for all grads who may never have seen a construction worksite in action. I would like to gain my chartered professional engineer status. I was lead to the ACE Graduate Program because it involved a high level of exposure to a wide variety of engineering disciplines. It has allowed me to determine the area that suits my personal strengths and the staff members work with me to further develop those strengths. Being part of a large Infrastructural project has been an experience that has stuck with me (Mernda Junction External Works). Working with a helpful team has allowed me to see construction from the inside and allowed me to quickly and effectively develop my skills. I hope to remain in the project management field, work in a team to deliver projects efficiently and to a high standard and continue to develop as an engineer. I hope to take on more Project Managerial duties as I progress through ACE’s Graduate Program.